Except for the pinprick from the injection, a PET scan is a painless procedure. People who are uncomfortable in closed or tight spaces may have some anxiety . PET scan. NHS Choices website. Available at: http://www.nhs.uk/Conditions/PET-scan/Pages/Introduction.aspx. Updated November 2, 2015. Accessed October 3, 2017. 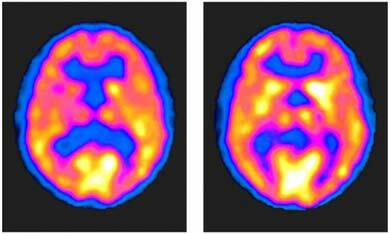 Positron emission tomography (PET scan). Johns Hopkins Medicine website. Available at: http://www.hopkinsmedicine.org/healthlibrary/test%5Fprocedures/neurological/positron%5Femission%5Ftomography%5Fpet%5Fscan%5F92,P07654. Accessed October 3, 2017.